Steven (Chicagoland, United States) on 28 April 2009 in Animal & Insect and Portfolio. 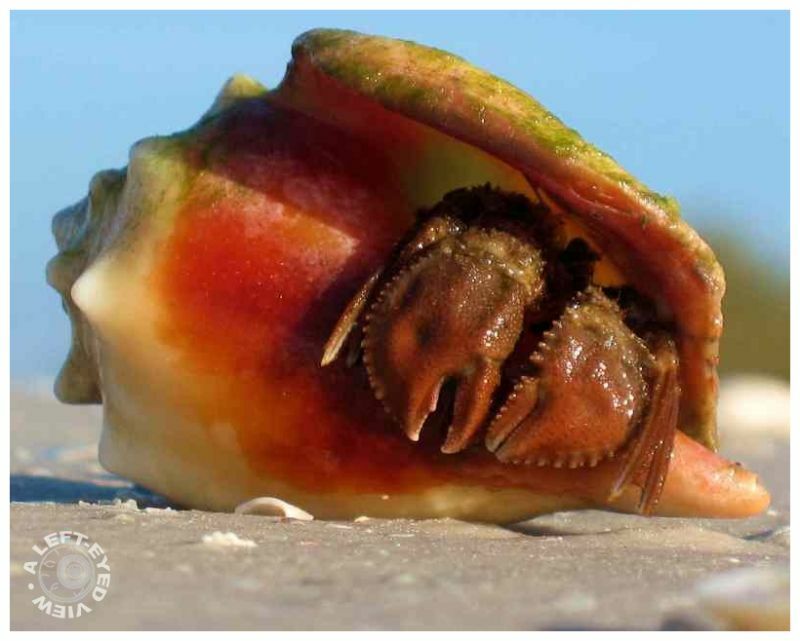 A hermit crab that has taken occupancy in a conch shell at Lovers Key State Park in Florida. Photo taken March 15, 2009. That is scary!!! Nice shot though. really nice, just a pity that the head is not really visible. but the colors are cool as well. nice shot! Excellent. I really like the colours. You got right down there with Mr. Crab - What a fabulous find, Steven! lol A lovely shot Steven, any closer and those pincers would have had you ! Amazing . . like some wild sculpture. What a wonderful find, well spotted and captured. I like how you got down to the same level. Colorful. Our beaches are too busy to spot something like this. Excellent find... blends very well. Excellent catch and so very sharp, love it!